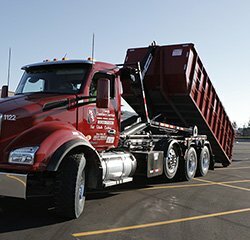 From Lake and Lincoln County, to McCook, Minnehaha and Turner Counties, Novak Sanitary Service is well known as a reliable, affordable, energy-conscious and environmentally minded South Dakota Trash & Recycling company. Novak provides residential and commercial garbage collection services, commercial and residential South Dakota recycling programs and construction waste removal. We also provide highly secure paper shredding and document shredding services. 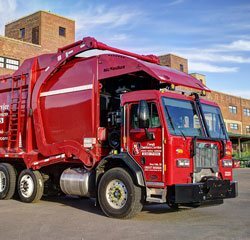 With the reliability of a major nationwide waste management company and the local knowledge and community pride you need from your waste management company, Novak makes it easy for customers to keep our community clean. We also make it easy to pay your Novak Sanitary Service trash & recycling bill with your Visa or MasterCard using our free online bill pay service. Contact Us to learn about the customized Novak Sanitary trash & recycling services we can provide. We believe that professionals who know the community well should be the ones who manage our greater Sioux Falls, South Dakota garbage collection and recycling programs. When you hire Novak Sanitary Service as your waste management company, you are hiring neighbors who care about our area as much as you do. 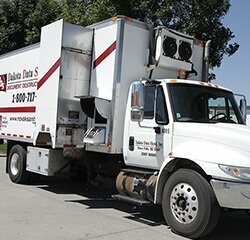 Novak Sanitary Service works to be the premier waste management company of Southeastern South Dakota by continuously working to meet these core operating values.